As moms we are always busy, running from one thing to another. 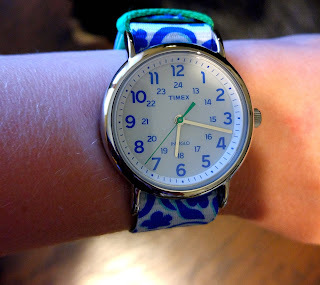 What better way for mom to keep track of her days, then with a new Timex watch! 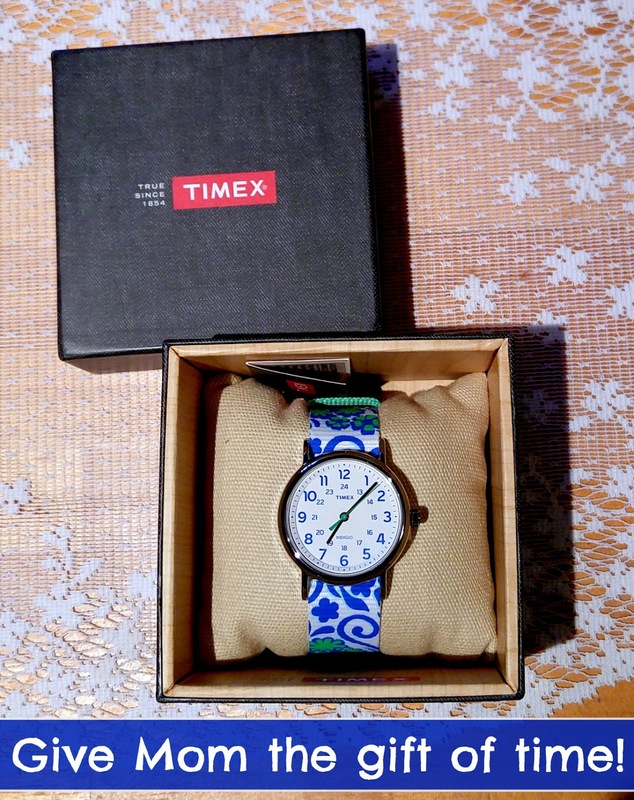 Timex has so many watches to choose from, that there is something for every mom on your list! Give your preppy posh mom the gift of country club chic without the sticker shock. These Timex Weekender Fairfield watches come with interchangeable, bright striped strap options made from durable nylon. Plus, with super-slim Silver, Gold and Rose Gold faces, mom can mix and match for endless outfit options. For the athletic mom, be sure to pick up the latest in sport watches with Timex’s new Ironman Sleek 50. Offered in colors that pop in addition to florals, she won’t have to compromise style for functionality. This water-resistant timepiece can do everything an athlete would need, from lap memory to interval timing to hydration alerts. Stylish moms will love a Timex Original Tonal for its classic look with a modern twist. Its Gold-Tone Brass Case, nylon strap, and a bold face in a range of elegant colors makes it an instant favorite among fashionistas. The Timex Weekender gets a refresh that’s perfect for bohemian moms. While these timepieces are offered in traditional and bright colors, the straps are reversible for a dose of floral whimsy. I am in love with my new watch! It is so colorful and honestly every time I look down and the time, it makes me smile. How can you not smile, when you have fun and bright colors staring back at you! This silver-tone watch features a white dial with Indiglo night-light, easy-to-read numerals, and 24-hour track. It also features a reversible lime green/floral print nylon band with buckle closure. This way I can change it depending on my mood or outfit! This is a perfect casual watch, and I love the ability to light the dial when needed with the super cool Indiglo light!